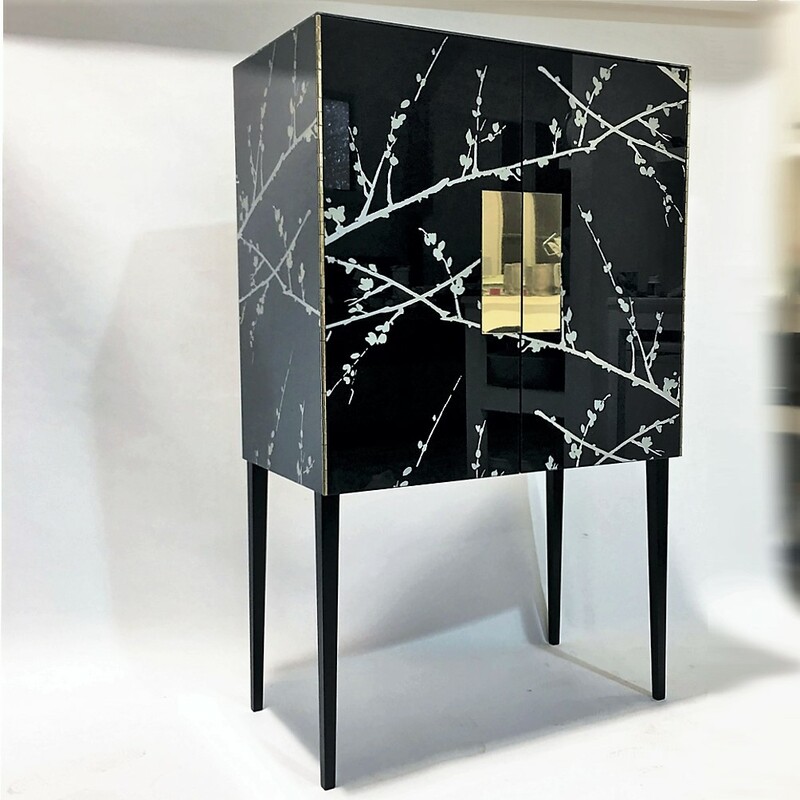 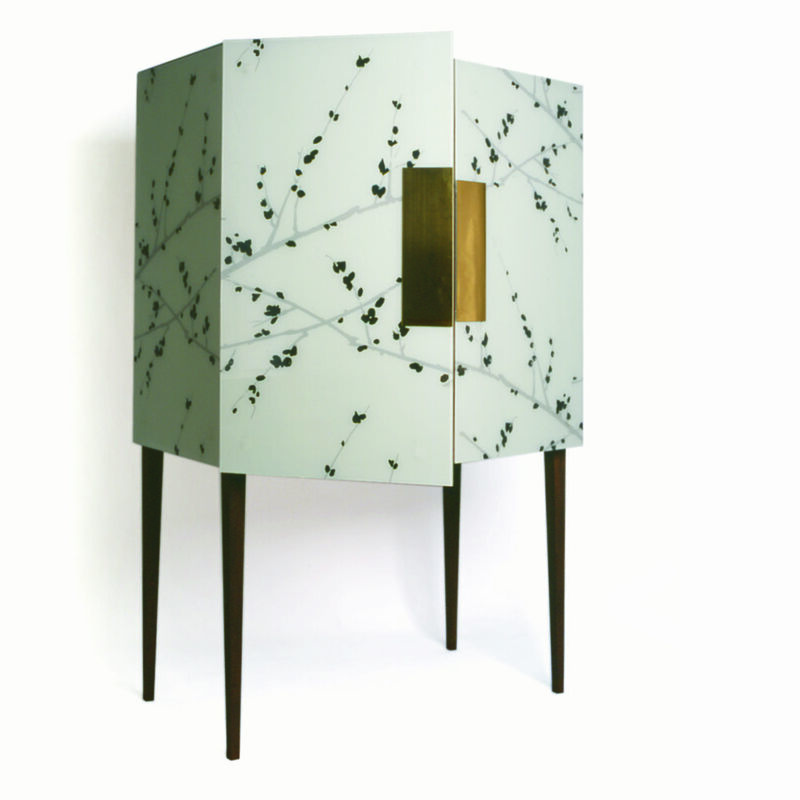 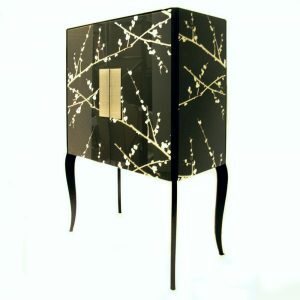 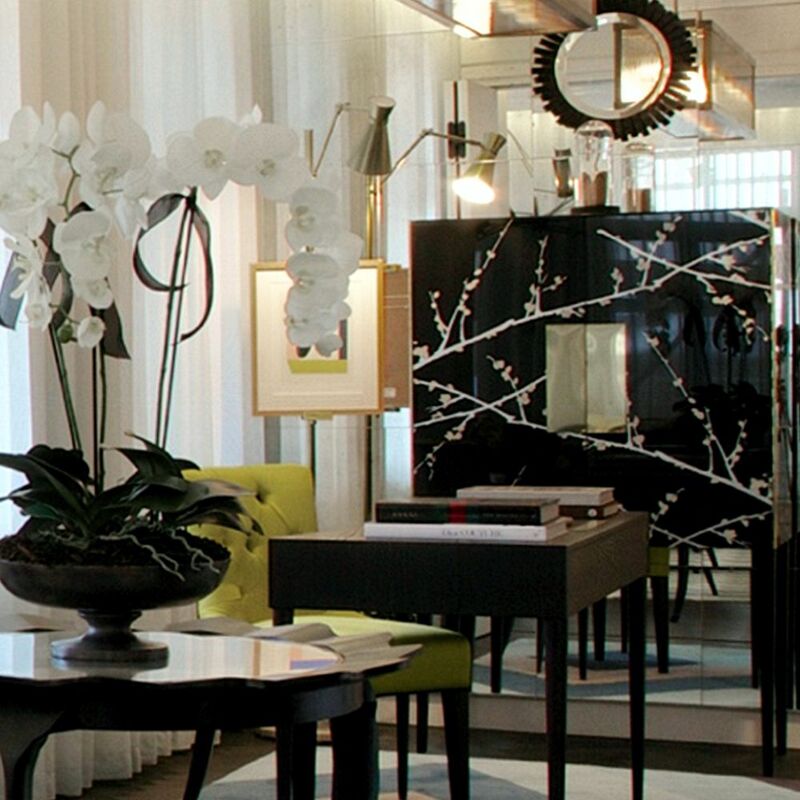 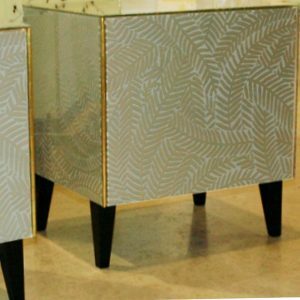 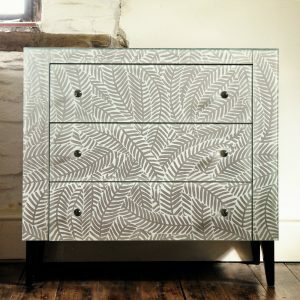 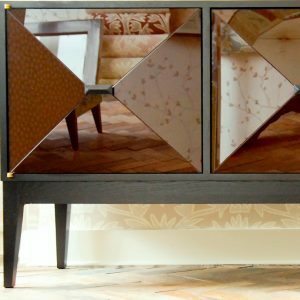 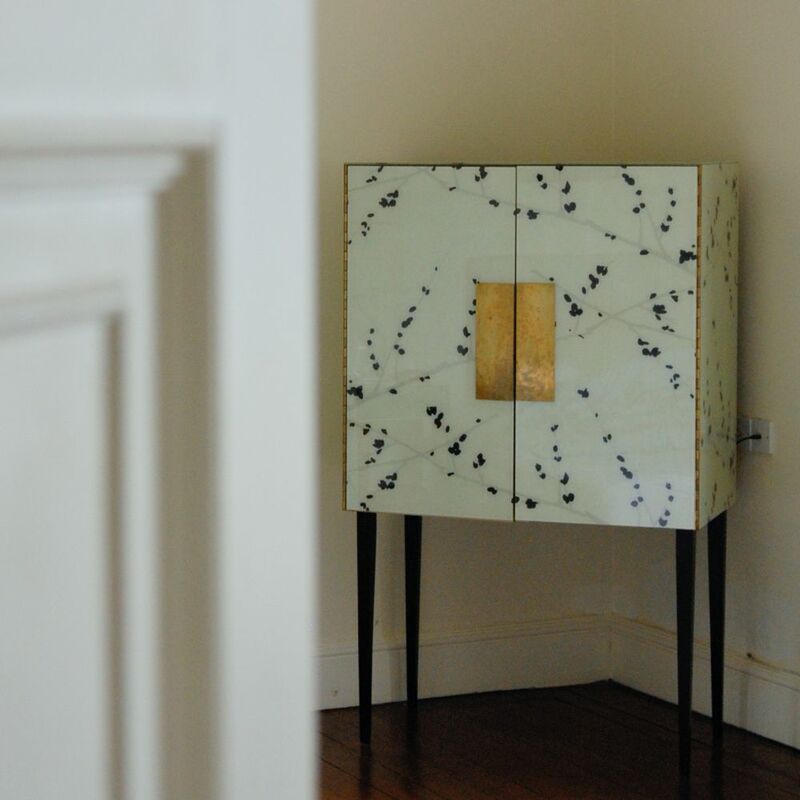 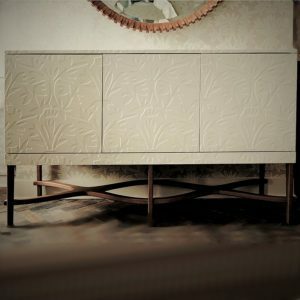 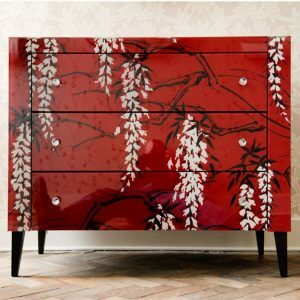 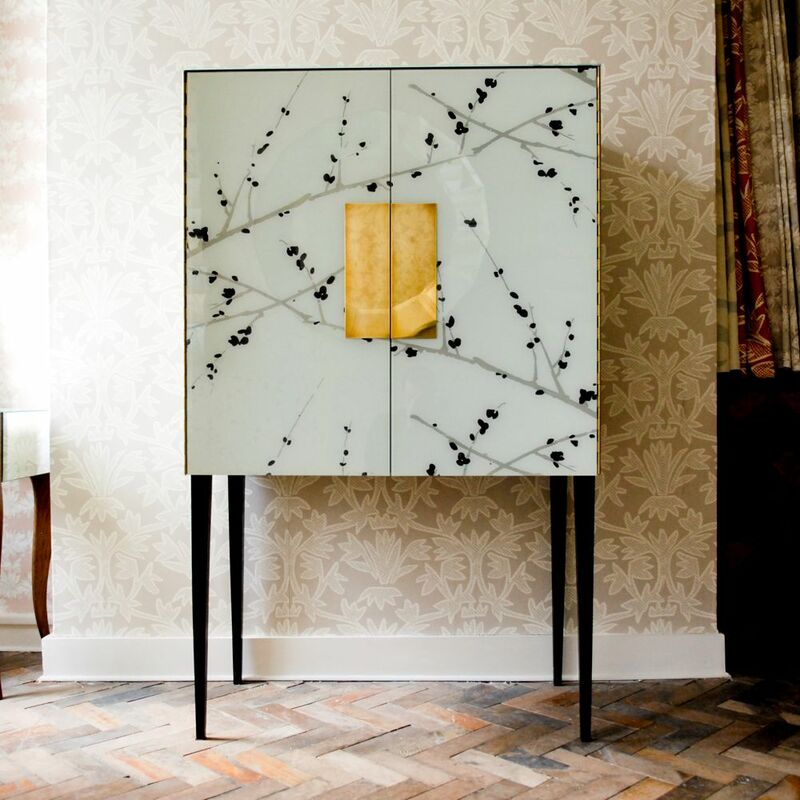 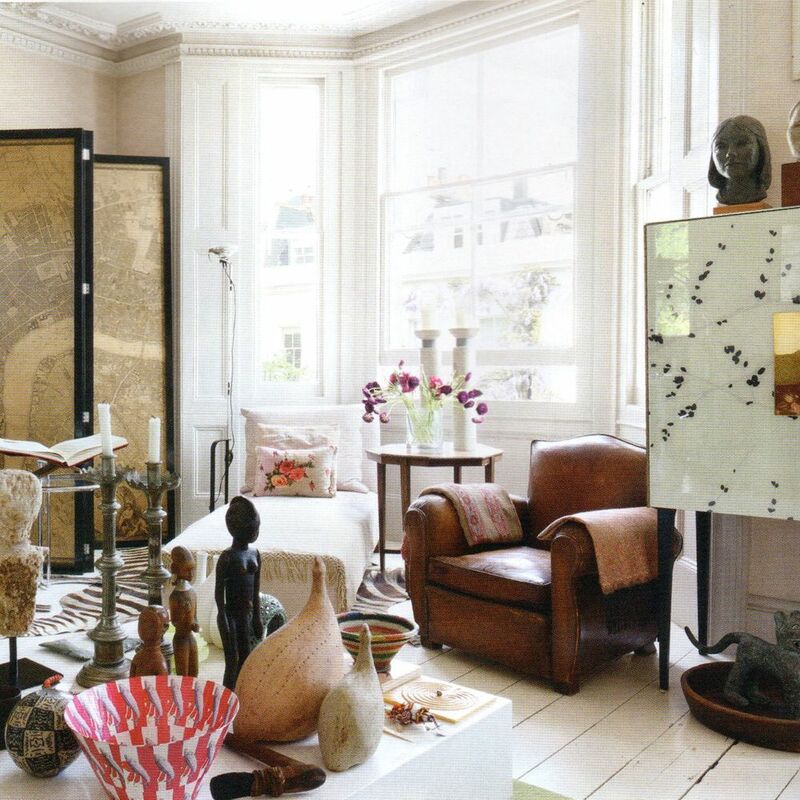 Cabinet shown here in our classic Ikebana printed glass finish. 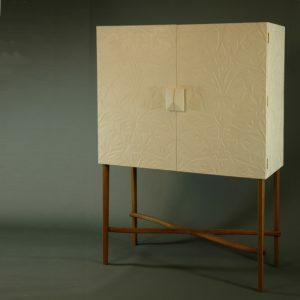 Fitted with brass plates and hinges, solid beech legs and oak interior with adjustable shelves. 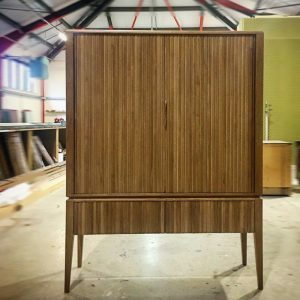 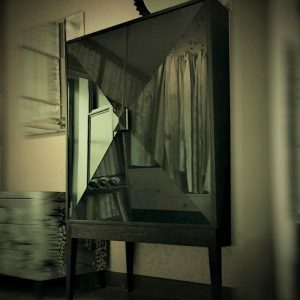 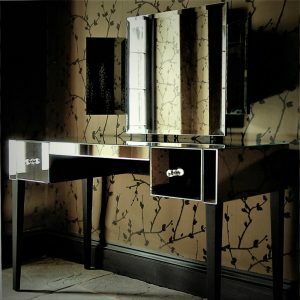 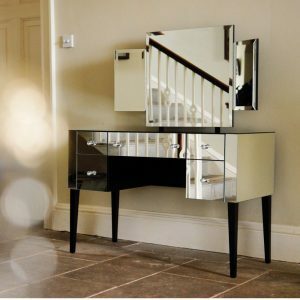 This piece can also be adapted for AV or cocktail cabinet use with a variety of accessories ie mirror back, glass rack, pull out drawer, interior lighting etc – please enquire. 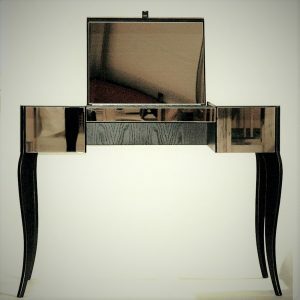 Finished in dark walnut, mid oak, natural oak or conker.